baha’i elections revisited | doberman pizza. Arash Abizadeh is a well-known name in the field of Baha’i studies—not the least in Ottawa, since he teaches Political Science at nearby McGill University in Montreal—and perhaps better known than ever since his work was featured by the U.S. Baha’i News Service in an article about Baha’i elections. The work in question is How Baha’i Voters Should Vote, an article in progress examining the criteria Baha’is should use in electing the members of their governing bodies. This article, along with a previous one on the nature of Baha’i elections, provides a welcome and timely glimpse into the unique Baha’i electoral process, and offers particular insight into the recent March 25, 2007 letter of the Universal House of Justice on Baha’i elections. 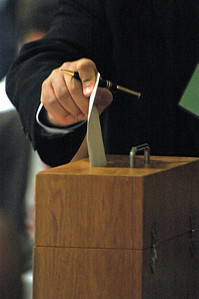 Baha’i elections—commonplace during the Baha’i festival of Ridván—are democratic in nature, but preclude nominations, campaigning, or any other form of electioneering—making it instead the spiritual prerogative of every elector to vote only for those people whom, after prayerful reflection, he is convinced are qualified for membership on the governing body in question. This unique process puts far greater responsibility on the individual elector than has ever been witnessed in any form of governance—and naturally, some find themselves at a loss as to how to proceed. The collective makeup of the Assembly as a whole. Voters should consider qualities that reflect the makeup of the Assembly as a whole, such as the diversity of its membership. For instance, they should keep in mind advice from the Universal House of Justice to consider age distribution and ethnic and gender diversity in the Assembly. Changes in the collective makeup of the Assembly over time. Shoghi Effendi also suggested that the collective quality of the Assembly should change and improve over time. Thus, beyond specific improvements in the individual makeup of the Assembly, there should be some turnover as well. baha’is of canada elect governing body rebuilding trust w00t bahai-related announcements vote. Thanks for returning to the issue of Baha’i voting. I was in school with Arash for a time when he was at Harvard. Nice guy and wicked smaaht as we would say here in Boston.